It is with broken hearts we announce the unexpected and peaceful passing of Richard, at home, on March 21, 2019 at 56 years of age. Beloved son of Jadwiga and the late Jozef (2002). Loving brother to Christine (late Wiktor, 2002) Jakowiec, Gene (Linda) Moscicki, Tomas Moscicki, and Mary Moscicki. 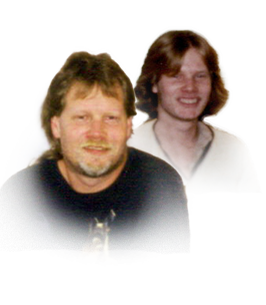 Cherished uncle to Mark Moscicki, and Michele Moscicki (Erik Faucher). Richard will be sadly missed by his aunts, uncle, and many cousins in Windsor and Poland. If you so desire, donations to a charity of your choice would be appreciated by the family. Visitation Tuesday, March 26, 2019 from 7-9pm. Prayers 8pm. Funeral Service Wednesday, March 27, 2019 at 10am at Families First 3260 Dougall Ave. South Windsor, 519-969-5841. Interment Heavenly Rest Cemetery.